and updates, along with NMBA news and events. As the official trade journal for the New Mexico Bankers Association, The New Mexico Bankers Digest delivers clear, sophisticated, up-to-date industry information and serves to reinforce our organization's mission and professional image. We are extremely proud of our publication and view it as a valuable conduit of information between our members, industry experts and our Association. 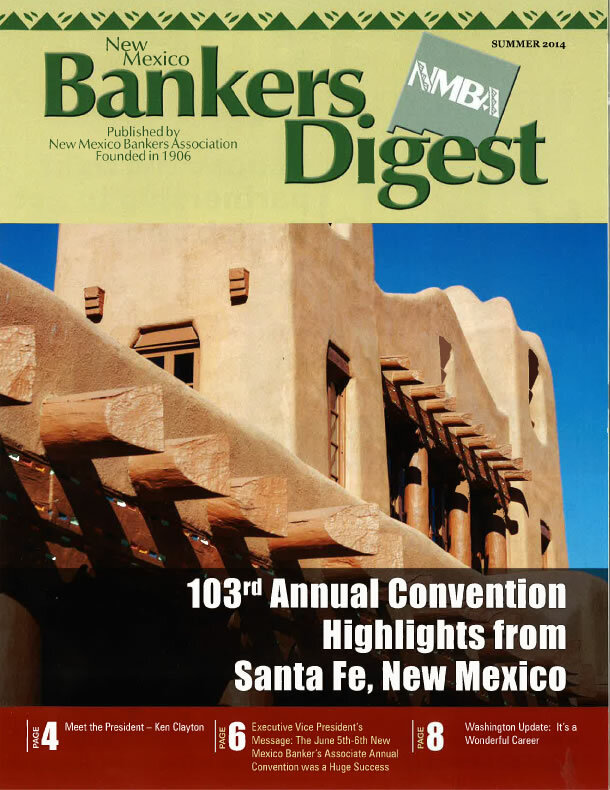 The New Mexico Bankers Digest is a 20 page full color magazine with a circulation of over 900 NMBA Members and Associate Members three times a year. Members are encouraged to send press releases and new branch or new hire announcements for potential publication to Debbie Schaefer email address dschaefer@nmbankers.com or call the office at 505-822-7900. Advertise! This is a great way to get your company's name and logo out to members of the New Mexico financial institution industry. 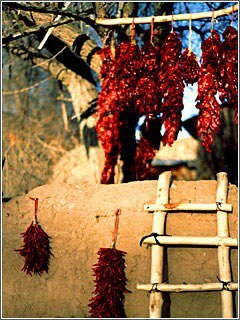 The New Mexico Bank Directory is published annually and is the most comprehensive financial resource for the state of New Mexico. Listings include NMBA Officers, Associate Members, Committees, State and Federal Government Relations Contacts, NM Banks and their branches.